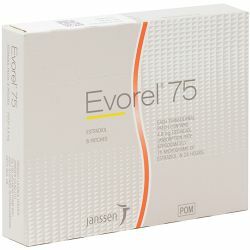 Evorel (Estradiol) 75mcg Patches 8 is a Hormone Replacement Therapy (HRT) in the form of a transdermal patch. 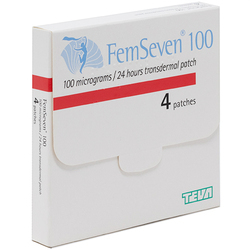 The active ingredient is the female hormone Oestrogen-Estradiol. 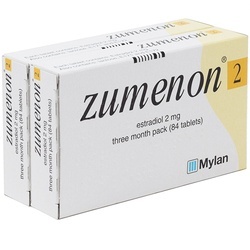 It is used to relieve the symptoms occurring after menopause in women. Apply ONE patch to either the thigh or buttock. The patch is changed twice a week. 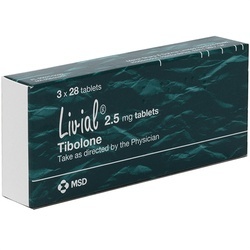 If you experience any of the side effects listed in the patient information leaflet or not listed in the leaflet please consult your doctor or pharmacist.